Harare - After more than one and a half decades of hits and award-winning music, Rockford “Roki” Josphats is aiming for the stars on the international stage. 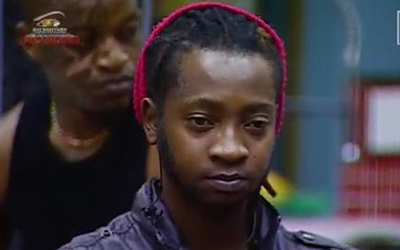 Roki told The Standard Style that he was currently focusing on international relevance and was placing most of his energy on that. “I have been doing this [music] for long but I feel that I have not yet achieved enough in the time I have been a musician,” he said. “One of the highest steps as a musician is a Grammy award and I know it seems a bit unrealistic now and unachievable. The other step is Hollywood, you know, going on screen on the highest level,” said Roki. Ranked as one of the most talented local artists, it remains a mystery when the singer will feature on a movie as he intended soon after his disqualification from the Big Brother Africa house in 2012. While that may be in the pipeline, Roki is ready for it anytime and believes his dream depends on directors. “It is actually up to them to call you if they need you in their production,” he said. The singer said local musicians were finding it hard to break into international markets because they are caught between impressing locally and making universally appealing material. “It may feel as if we are not trying hard enough but we are struggling to make an immediate dollar and making internationally accepted music,” he said. Being a versatile lyricist and nimble-footed performer, he insists working on his own music without engaging foreign artists would yield the desired outcome for now. “I have been working on music that will top international charts and although one may have a good chance by featuring international artists, I am currently working on my own,” he said. After joining Kenako Muzik as a resident artist last year, Roki recently reemerged with a new name “Rockford Gold”, which he says is a leap towards creating an internationally-acclaimed status. The artist, who closed his own recording studio, believes the decision to join the Borrowdale-based stable is exceptional and will help in making his music better. “It feels very good joining Kenako, but I still have my studio equipment and it works and I did not close it because of failure, but the need for an authentic touch that comes from a studio of this nature,” he said. So far, he has churned songs that include the award-winning Alleluya, Unoshaina and Munhumutapa, all of which have a diverse musical feel.